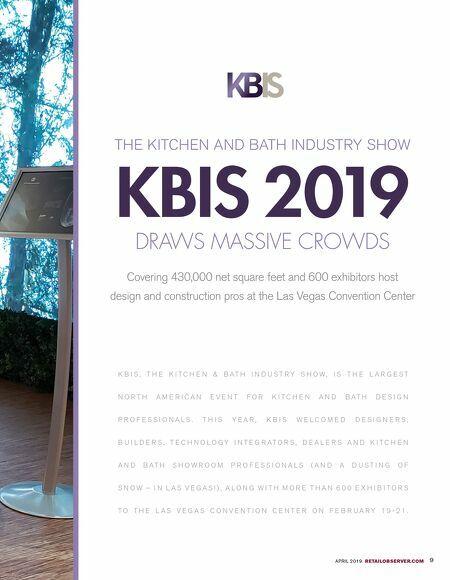 APRIL 2019 RETAILOBSERVER.COM 9 THE KITCHEN AND BATH INDUSTRY SHOW KBIS 2019 DRAWS RECORD ATTENDANCE Four halls, 45,000 square feet, and 600 exhibitors host design and construction pros at the Las Vegas Convention Center K B I S , T H E K I T C H E N & B A T H I N D U S T R Y S H O W , I S T H E L A R G E S T N O R T H A M E R I C A N E V E N T F O R K I T C H E N A N D B A T H D E S I G N P R O F E S S I O N A L S . T H I S Y E A R , K B I S W E L C O M E D D E S I G N E R S , B U I L D E R S , T E C H N O L O G Y I N T E G R A T O R S , D E A L E R S A N D K I T C H E N A N D B A T H S H O W R O O M P R O F E S S I O N A L S ( A N D A D U S T I N G O F S N O W – I N L A S V E G A S ! ) 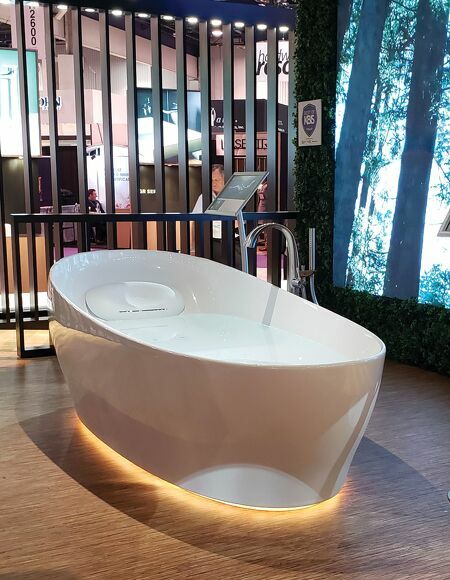 , A L O N G W I T H M O R E T H A N 6 0 0 E X H I B I T O R S T O T H E L A S V E G A S C O N V E N T I O N C E N T E R O N F E B R U A R Y 1 9 - 2 1 .